The size is impressive, but from what I can remember, they're not very well maintained and I remember seeing a number of dead fishes and lots of algae in the tanks. P.S. This is what part of the alphabet would look like if Q and R were eliminated. Humm...Was there last month. Spent about 20 minutes staring at it while eating my bowl of pig blood soup. The condition that time was good. Didn't see any dead fish or algae and the plants are pearling quite a lot. If the tanks are in Singapore, had an impulse to donate my two overgrown angles to them. I was there a fortnight ago and took the same pictures. Some of the tanks do look bad, especially one with a couple of goldfishes hit by bladder problems. Surprisingly the planted tanks still look decent. Studying the water chemistry and nutrients is a science. Knowing what plants to get and how to use them is an art. Aquascaping is a marriage of art and science, the logical and emotional. 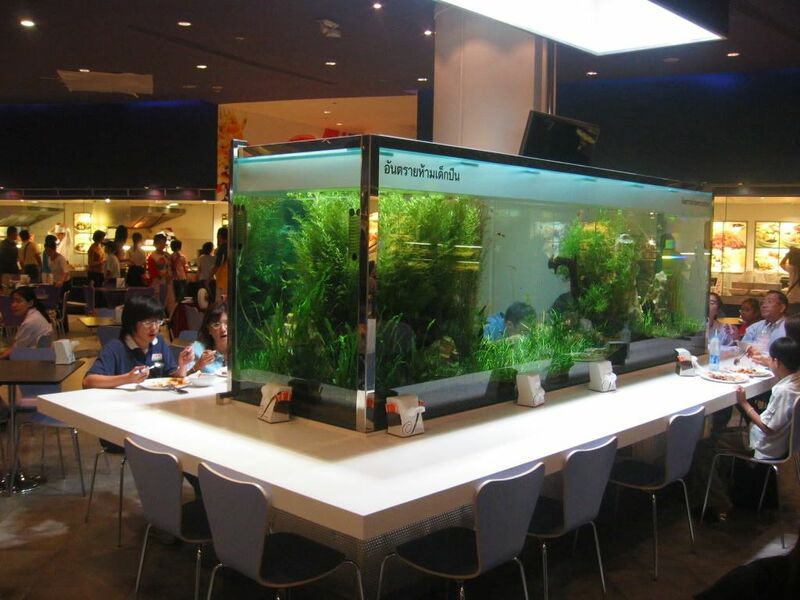 hm.. hope in future there is planted tamk in our foodcourt too..
the planted tank looks well maintain was there on Sunday 14 MAy. yes do see pearling a lot. All times are GMT +8. The time now is 23:12.